Designed specifically for a narrow lot, the Ruby design is a recent addition to the Perry Homes portfolio. The modern styling of this four bedroom home has all of the features required for a growing family. The main bedroom includes a large his and hers walk-in robe and spacious ensuite, whilst the three other bedrooms come complete with built-in robes. The family friendly main bathroom has a separate shower and bath, providing enough room for all. The impressive kitchen positioned in the centre of the house offers functionality and versatility for a relaxed lifestyle. The beautifully designed kitchen includes a most sought after walk-in pantry together with a generous breakfast bar. There is even a formal dining area for entertaining family and friends. With a frontage of just over 9 metres, this design is perfectly suited for 10.5 metre wide lots. 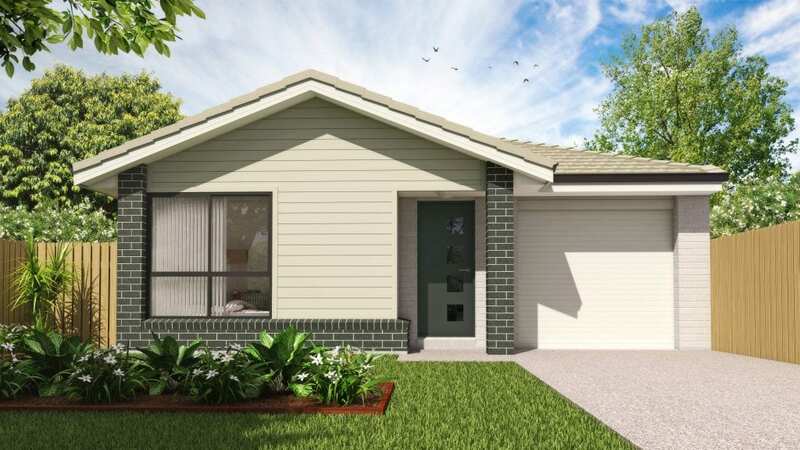 It represents great value for first home buyers as well as those who want to downsize.